Okay, I'm stopping myself from being a preacher and start doing what AMW is good at! 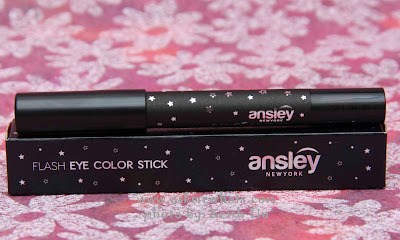 A product review for my Ansley Flash Eye Color Stick in Pure White! It's a jumbo liner pencil that can be used as eyeliner, eyeshadow base and highlighter! 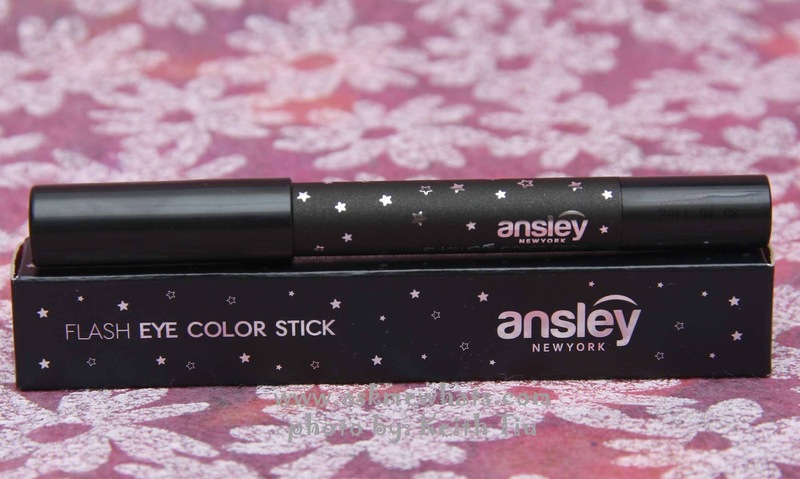 Ansley New York Flash Eye Color Stick definitely gives a soft feeling and one touch eye make up expression. It spreads smoothly, adheres well on skin and maintain lustrous, crease-free finish giving an accentuate dimension and brilliant luster to the eyes. The waterproof eye color stick does not smudge even with water or sweat. It expresses the amazing color with once drawing. In addition, the Natural Vegetable Oil and Vitamin E are the lasting moisturizing factor. Pure White color is multi-functional. I use these on waterline, brow bone, inner corners of the eyes and cheekbones for instant highlighting. 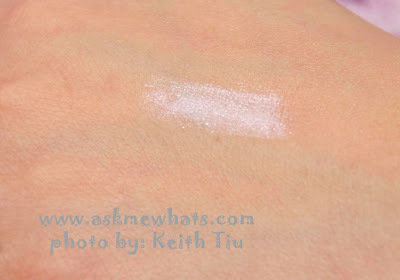 This product can also give your eye shadows a nice "3D" effect if used as base. Need to wait for shipping. Pencil type liner, sharpening is needed and since the size of this pencil is bigger than regular pencil, you would need a special sized pencil sharpener for this. If you're looking for a plain matte white pencil, this isn't for you. More shade choices would even be better! If applied on waterline, the product may be gone after an hour or 2. These jumbo color sticks reminded me so much of the NYX Jumbo Eye Pencils! These are indeed pigmented, creamy and easy to use! I can use the Ansley Flash Eye Color Stick Pencil in Pure White alone all over my eyelids, very oily-lidded individuals may need to apply a primer prior to pencil application to prevent creasing. 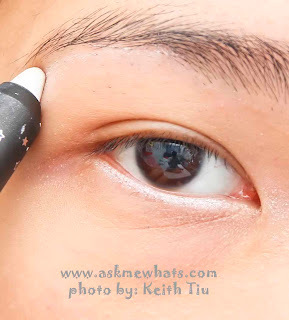 If you want to create a "doll-like" eye makeup, use a white pencil on the waterline to exaggerate the size of your eyes. If you prefer a more subtle shade, go for a beige or cream-colored pencil! Pure Pink may work better. If you own several shades including the Lip Color Stick, I strongly suggest to label the exterior of the pencil with stickers or apply a "similar nail polish shade" on the tip of the cap to avoid confusion. If you have very sensitive eyes, apply the product closer to the waterline instead to the waterline itself to prevent irritations and also keep the liner last longer as it doesn't get wet as compared to applying on the waterline. If you prefer to use this product on the eye area, keep the rest of your face matte. Applying too much may make you look like a walking disco-ball! Not for now. I only need a Pure White eye color stick and so far this will last me long. Anyone comfortable with online shopping and those who wanted a creamy pencil that's waterproof and multi-tasking. 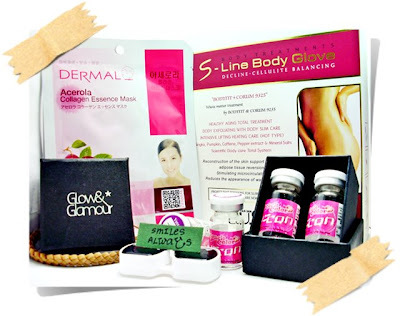 At Glow and Glamour website for $7.90 (approx Php340.00) + Shipping. Check my code given by the company below especially for AMW readers to get 10% off. If you plan to order from Glow and Glamour website, feel free to use the Glow and Glamour coupon code specially for AMW readers (AF280291458). Less 10% on all products in store! Clearly labeled at the bottom of the pencil. A quick swatch without base. As you can see on photo, there's a hint of white glitter to it. The glitter isn't as chunky and does not irritate my eyes. 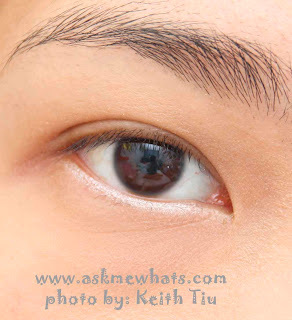 Applied very close to the waterline to create larger looking eye. If I like to create a fake 8-hour sleep, I like applying a tiny bit of the Ansley Flash Eye Color Stick in Pure White on the inner corner of the eye and blend using my fingers. 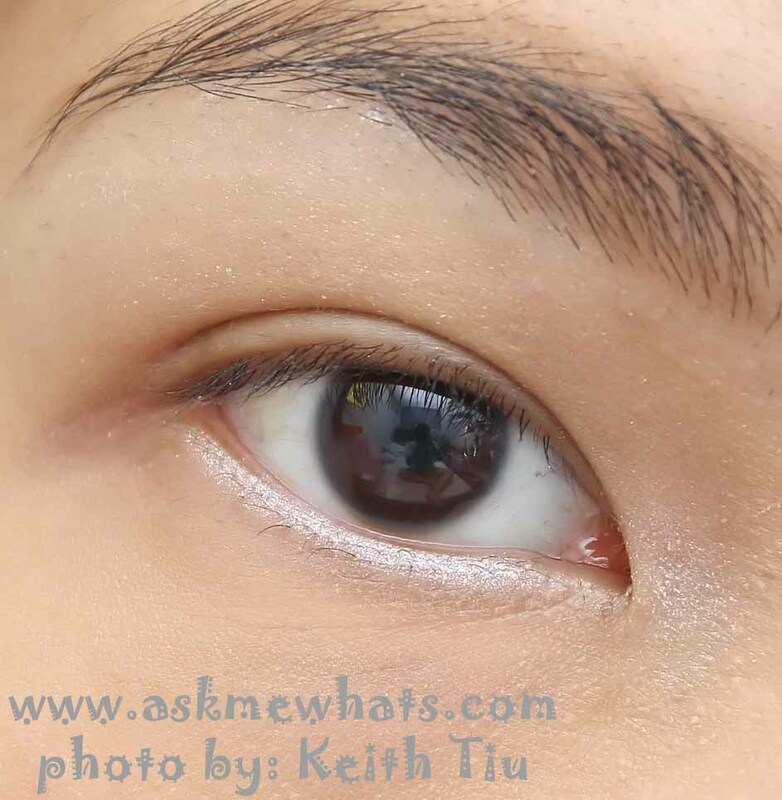 On those I used a boring matte colored eyeshadow, I brighten up the whole eye makeup by applying Pure White on the brow bone and again, blend using my fingers. applied on the brow bone, near the waterline and the inner corner of my eye. Glow and Glamour Facebook page has an ongoing contest! Anyone can join so please head on to their Facebook page and follow directions! The winner gets to win products shown on photo below. 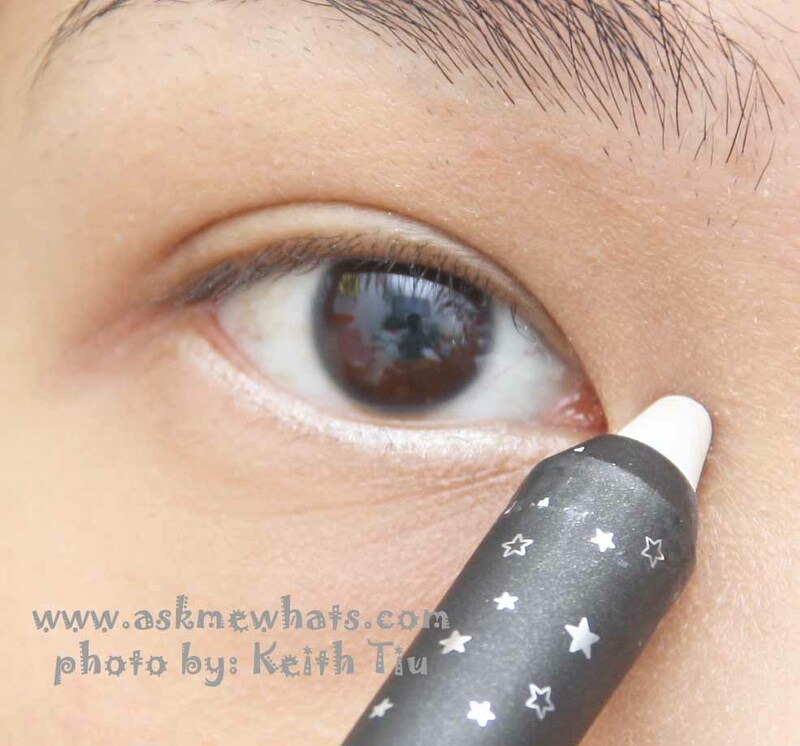 Do you use white eye pencil to create brighter-looking eyes? Hi Crystal, sayang nga lang I do not own "milk" or similar shade from NYX! Yes! 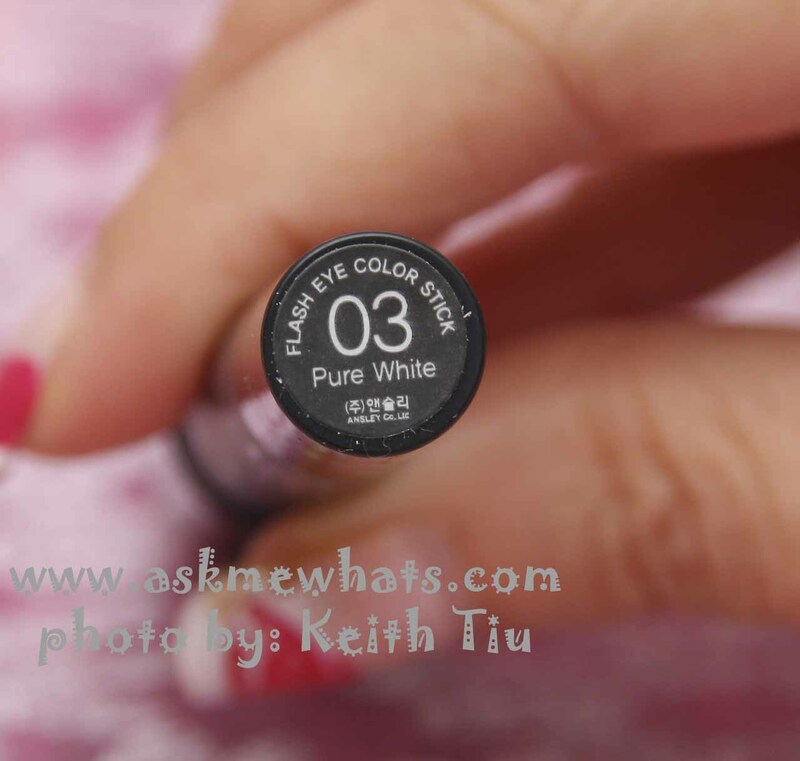 I have one white eye pencil which I bought from Korea! I love it to bits!